Researchers find that Americans are particularly skittish about giving up control of a vehicle to an automated system, but a new study says car buyers are now simply fed up with semi-autonomous features like lane-departure assist and adaptive cruise control, the Wall Street Journal reports. It’s hard to discern what’s the driving factor here, as the Journal doesn’t delve too deeply into the findings. Perhaps J.D. Power surveyed a majority of riders who commute in high traffic areas with heavy congestion, a situation that could set off constant alerts. But at a time when automakers are feverishly working to develop self-driving cars, it should give them pause that buyers apparently aren’t happy with features that, for instance, warn them if their vehicle is inching into another lane. The problems with semiautonomous features should sound a warning bell for auto makers, tech companies and parts suppliers. 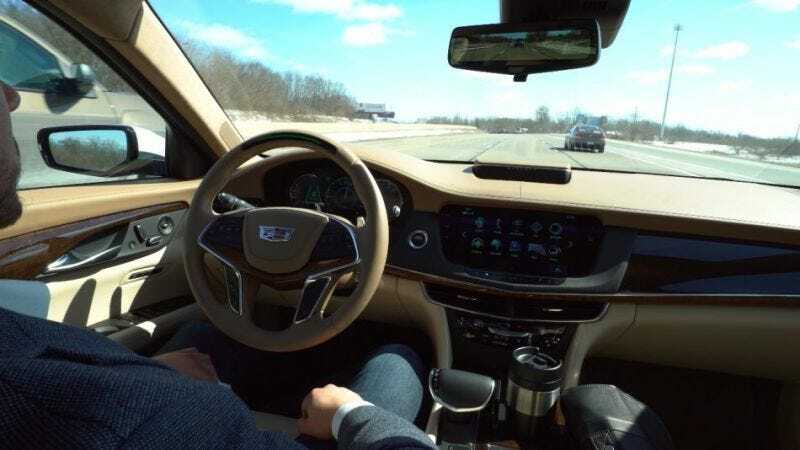 Customers will need to be convinced that these semiautonomous features that are the building blocks for autonomous vehicles are foolproof before they give up driving control. Auto makers and regulators are taking steps to make semiautonomous safety gear becomes more ubiquitous. Nearly a dozen top car companies, for instance, have pledged to make automatic emergency brakes standard on future vehicles. Maybe it’s a difficult transition for car owners to deal with the sound of a chime, or something, warning them about an oncoming pedestrian. Sure, people are annoyed, but we’re talking about things like automatic emergency brakes, which can stop you from hitting someone, which is ... good. Right? Right?